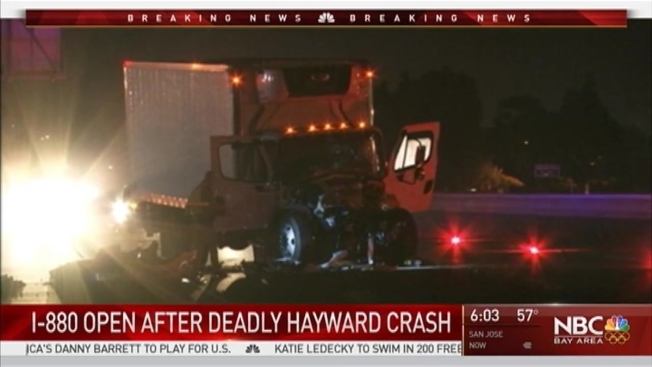 A man died early Tuesday on Interstate Highway 880 in Hayward, after a big rig was rear-ended by a box truck, according to the California Highway Patrol. The accident was reported just south of Industrial Parkway about 2 a.m. The CHP said one person died inside the box truck, and two people were taken to the hospital with major injuries. The big rig driver was also injured, the CHP said, when his head slammed into his windshield. A Sig-Alert shut down the highway for about three hours.